Please read this before blogging for the first time. Our school blogs are now accessible without logging-in. Hooray, we hear you cry! This is great news for all those of you that want to comment on the exciting things happening at St. Luke’s and get involved with our learning. Blogging is a great way to improve our reading, writing, communication and keyboard skills for a real purpose with a real audience. It allows us to share our ideas and our learning with each other and with people from all over the world. 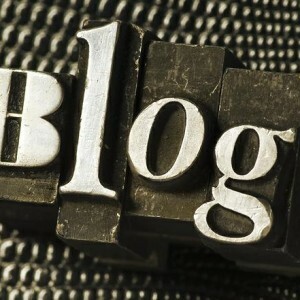 However, we need to make sure that we blog safely. • Only use your own first name when making comments – no surnames. • Relatives who leave comments – please use your first names or say you are, Ben’s mum or Edie’s aunt. • Don’t give out any personal information about yourself e.g. your phone number or address. • Write in proper sentences and read your comments back carefully and check them for mistakes before posting. • Be polite – never post anything that could hurt anyone’s feelings. • Always show respect – be positive if you are going comment and always remember that the blog is a part of our school that the rest of the world is able to see. All posts and comments are checked by school staff before they are approved (this may cause a slight delay in your post being published). If you would like to discuss any aspect of our blogs or the website generally then please feel free to have a chat with your child’s class teacher, Richard or Peter, our Computing coordinators. Thanks for these helpful rules. yes! i agree with jake , i think those are some good rules and pieces of advice! I also agree with Josie and Jake these are good rules and pieces of advice i might use them myself. Very nice to hear from and thank you for your kind words about the school. Hope life in Croydon is going well. Anytime you want to visit and walk down memory lane, you are always welcome.